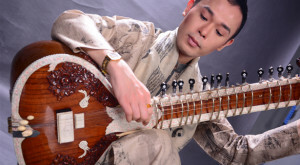 About Sitar THE SITAR is a classical instrument of northern INDIA which has 18 to 20 strings, 20 frets and has an intriguing sound which soothes melodic ears and expands the thinking mind. Basically a hollowed out pumpkin with a neck, it is a medieval instrument which was popularized in the 60s by George Harrison (Beatles) and others. 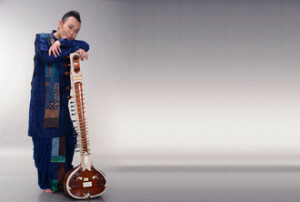 Adapted from the Tritantri Veena, an instrument described in the ancient Indian Vedas, the Sitar itself is only 600 years old. It is made using a dried out pumpkin for the body, Tun or Rosewood for the neck, and a dried out gourd for the resonator at the top of the neck. 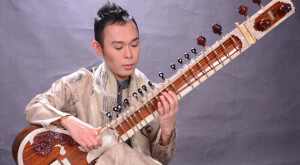 The Sitar has 7 strings on the upper part of the body and eleven or thirteen sympathetic strings under the frets which create, acoustically, electronic effects like echo, reverb, chorus & sustain. To allow the sympathetic strings below the frets to freely resonate, the frets are arch shaped. The curved frets also allow more versatility in bending a note than on a guitar. Bending a note involves pulling the sting into a different position on the fret, thus tightening the string and raising the pitch. 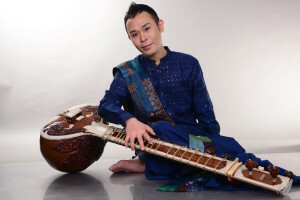 All the frets on a Sitar are moveable, being tied to the neck with string. 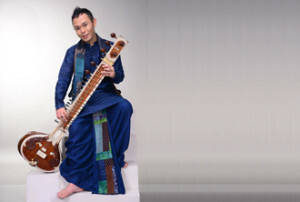 The characteristic fuzz-sustain sound of the sitar is produced by the bridge, which is wide and touches the strings as they vibrate.